More than Just for Pilots! Pilot Duty Time Manager allows pilots and managers to manage duty hours and flight time. But there is more! 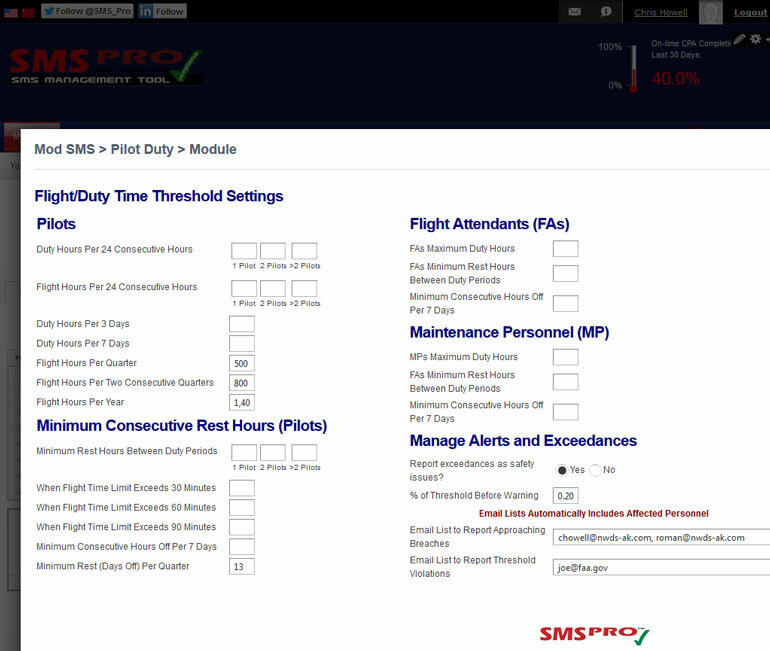 Maintenance personnel and flight attendants can also track their duty limitations using SMS Pro's flight duty time limitation module. Managers (who review hours & generate reports).